Despite the way securities traditionally are sold and what you hear in the media, the stock market confoundingly defies prediction. 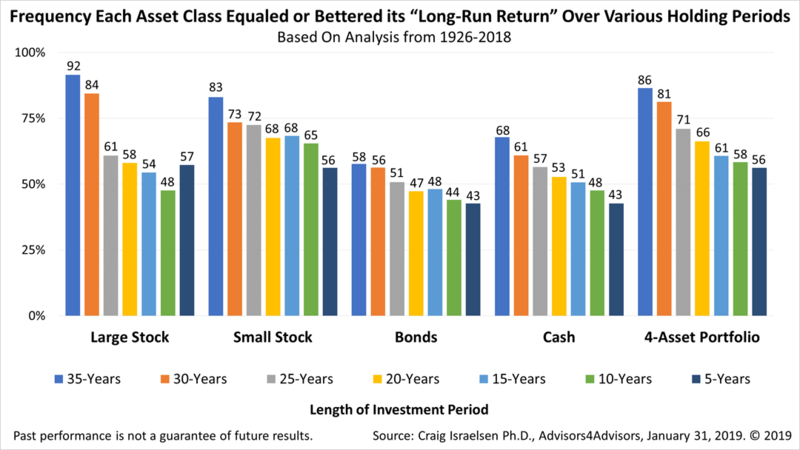 Look at the two quarters ended March 30th, 2019: The 19.8% plunge in the Standard & Poor's 500 index in the fourth quarter of 2018 was a flash bear market; in the first quarter of 2019, a recovery was just as swift, a snapback gain of 13% gain. 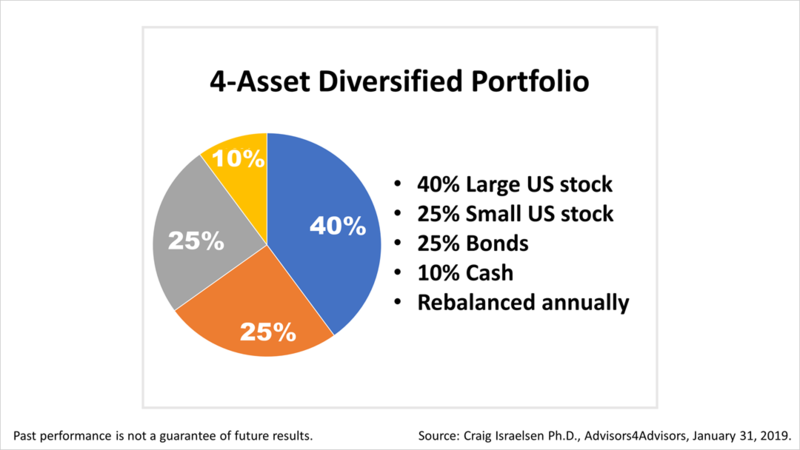 If whipsaw emotional shifts from fear to greed make it harder to stay realistic about what to expect from a prudently-designed retirement portfolio, this chart offers a way to know what to expect based on historical data.